Here’s another #Sony #a6000 image (set of three actually) from my venture into the Pasque patch this past Sunday. There’s a special feature on the Sony a6000 when using manual focus mode. When adjusting the focus (which is usually the zoom ring), the camera automatically jumps into magnification mode either in the viewfinder or on the back LCD, to aid in fine tuning the focus point. It took me a minute to figure out what the camera was doing, but then I couldn’t get enough of this feature. What an amazing camera! This triptych was created entirely within Lightroom. 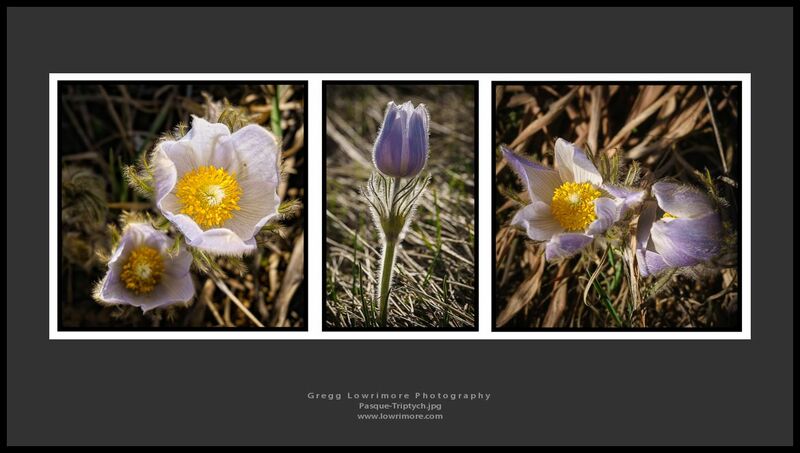 Posted in Nature, Shoots and tagged Pasque, triptych by greggl with no comments yet.